This is part 7 in my detailed 13 part Guide To House training. There are many methods of house training, some more effective than others. So although using a crate as part of your house training process isn’t essential, I do recommend it because it’s EXTREMELY effective at speeding up the process and undoubtedly makes it easier…and cleaner! 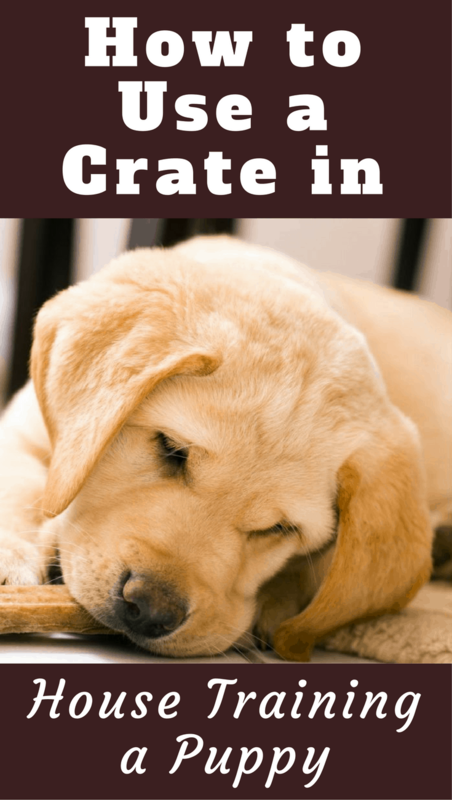 In this article I discuss why a crate is so useful, how to use a crate to house train a puppy as well as offer a few pointers on what NOT to do when using a crate during house training. Is Using A Dog Crate Cruel? How Is A Crate So Useful For House Training? Is Using A Crate For House Training Suitable For You? Can You House Train A Puppy Without Using A Crate? But dogs have a natural denning instinct and feel safe and secure in small enclosed spaces. A crate provides just such a place for them. Furthermore, used correctly a crate is far from cruel and has many benefits to offer both a dog and their owner. A crate isn’t just a useful tool to speed up learning during house training, it keeps your puppy safe at home and during travel, protects your belongings, prevents bad habits forming and gives a dog a place to call their own that they can escape to when they need some peace and quiet. A crate can only be cruel if an owner misuses it in a cruel way. It’s the person who is cruel, not the tool they chose to use for cruelty. 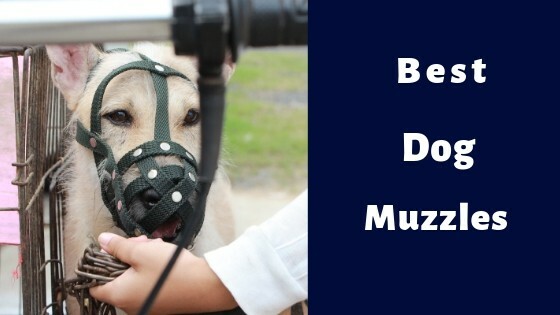 For a detailed discussion on the benefits of using a crate and whether their use is cruel or not, I urge you to please read my article: Why use a dog crate – and is it cruel to crate a dog? 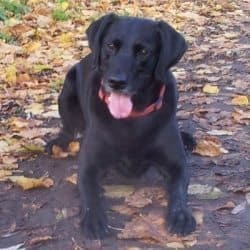 Additionally you might also like to read ‘How To Use a Dog Crate – When and When NOT To Crate Your Dog‘ to get a true sense of when and why it’s useful, as well as when you shouldn’t use it so you’re never unfair or inhumane. 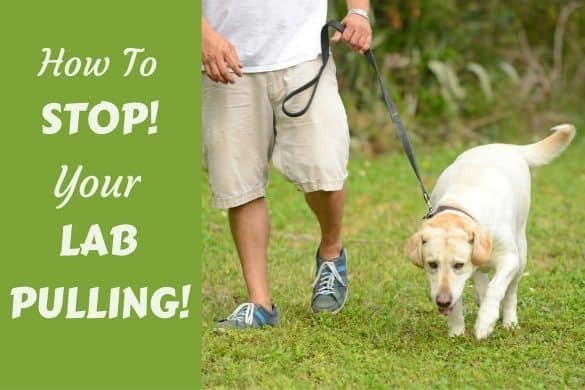 Trust me, training your dog to use a crate is one of the best things you can do! You need to prevent your puppy from going to toilet anywhere you don’t want them to go, usually anywhere inside the home. Every time you can praise them for going in the correct spot is encouragement for them to do so again. Every time you prevent them going in the wrong spot helps prevent them forming bad habits. Eventually, not eliminating inside while always going outside to their bathroom spot becomes a habit. Habit then becomes a way of life and then your puppy is house trained. But any time a puppy gets away with eliminating somewhere they shouldn’t, is an opportunity missed for nurturing the habit of going where they should. Not only this but when they go in the wrong spot, the reward of ‘satisfying the urge to eliminate‘ is enough to teach them that relieving themselves anywhere is in fact a good thing. So their house training gets confused and takes more time. The absolute quickest way to get a puppy house trained is to have your puppy toilet in the right spot every single time and to NEVER have them toilet anywhere else. Obviously this is impossible to achieve, but the closer you can get to this ideal, the quicker your puppy will learn. And the way to get as close as possible to this ideal is by the use of a crate. But how does a crate enable us to do this? Dogs have a natural instinct to keep their den clean. And they see the place in which they rest and sleep as their den. Crate training your puppy teaches them their crate is their den, therefore tapping into their natural instinct to want to keep it clean, especially by not urinating or defecating in there. After all, no dog wants to lay and sleep in their own mess. So when you cannot supervise your puppy, you can use their natural instincts in your favor by placing them in their crate. They will not eliminate but will wait for you to come and release them, at which point you can take them to their toilet spot. Place your puppy in their crate while you’re temporarily busy and they will hold it. Then when you’re ready to take them out, you can take them to their bathroom spot and because they’ve held it in, they will be ready to go. This gives you the chance to praise and reward them for doing the right thing more often which encourages repeat performances. When supervising your puppy, you look for signs of them wanting to eliminate and then take them to their bathroom spot. It’s when you can’t watch them that the majority of ‘accidents‘ happen. But place them in the crate at these times and they will hold it in, waiting to be released. So crating dramatically cuts down on the number of opportunities your puppy has to make mistakes. 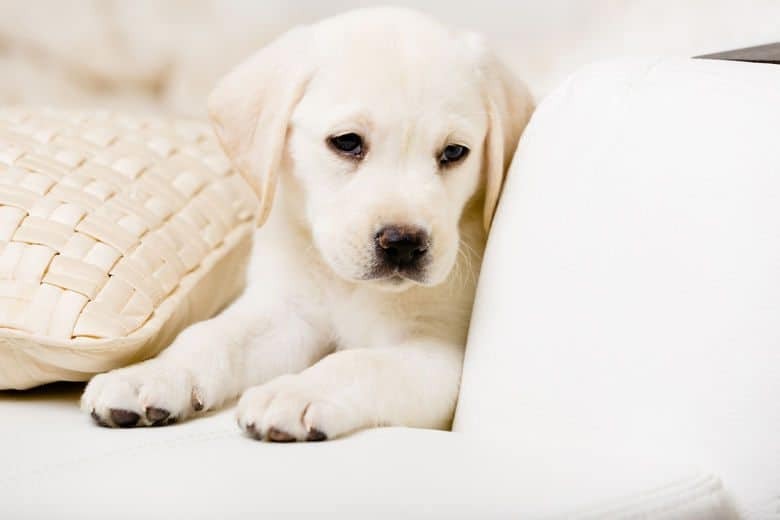 By properly applying techniques of supervision and crating, hypothetically speaking you can prevent your puppy from ever pottying inside your home at all! When a puppy’s very young, they just kind of ‘leak’. They don’t know it’s coming, they cannot help it, they have zero bodily control and when it happens it surprises them as much as anyone. Then as a puppy ages and their bodies mature, they can start to ‘hold it’ for a little while. But because they’ve grown from birth just ‘leaking’, then progressed to eliminating when and wherever they feel the urge with their mother and likely their breeder cleaning up after them, they just don’t know that they can or even should hold it. When you place your puppy in the crate and the ‘urge to go’ comes, they will try to hold it as long as they possibly can so they don’t dirty their den. This teaches the puppy that when the urge comes, they can actually hold it and don’t have to relieve themselves right away. 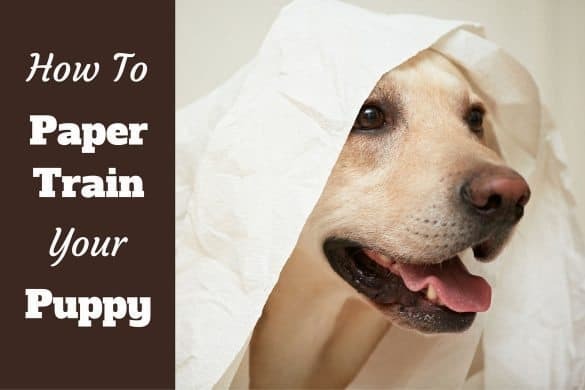 This can make a HUGE difference in the speed of your puppy’s house training. First of all, you shouldn’t place any food or water in the crate. Your puppy will eat and drink and this will bring on the need to eliminate. Just as importantly, you have to consider the size of the crate and where you should place it. In order to take advantage of your puppy’s instinct to keep their den clean, the crate has to be of a certain size relative to their body size. A crate that’s too large will allow your puppy to use one end as a bedroom and the other end as a toilet. This not only fails to take advantage of their denning instinct, but it can absolutely destroy that instinct too if they repeatedly use one end of the crate as a loo. A crate should only be large enough for them stand up straight without being cramped, lie on their side with legs stretched out and be able to turn around easily. 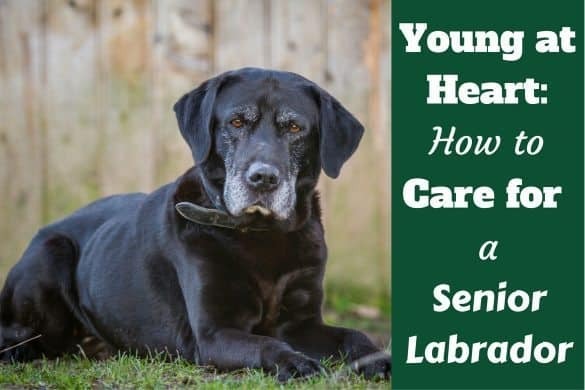 For a detailed guide on the size and style of crate you need for a Labrador (and in fact a dog of any breed), please read the following article: What Size Dog Crate Should You Get and Which Type Is Best? As explained throughout my crate training guide, the crate should NEVER be used as a punishment. If you place the crate away from the places where the family spends their time, the crate can start to feel that way to a puppy because they want to be near their pack. So place the crate in the busiest room of your home like the living room or the kitchen, and sometimes move the crate to different rooms if the family will spend their time in a different room for most of the day. The last thing you want to do is make your puppy feel isolated and tucked out-of-the-way. To avoid any highly counter-productive accidents occurring inside the crate, before you put your puppy in you should always make sure they’ve recently been to their bathroom spot. Furthermore, because they will have held it a while and it’s an opportunity to praise your puppy for eliminating in the right spot, the very first thing you should do when you take your puppy out of the crate is carry them to their bathroom spot. I say to carry them because many young puppies will just ‘let go’ the minute their paws hit the floor outside the crate, but they won’t if they’re being carried. So if you can, please carry them to their bathroom spot until they’ve grown at least a little. Now we know this, let’s discuss the times that you should crate your puppy to achieve your house training goals. As discussed in an earlier article on how feeding choices make a difference, you should feed your puppy to a schedule as this results in them predictably eliminating to a schedule. You will very quickly pick up on the pattern and once you have, you will then know the times your puppy needs taking to their bathroom spot. Now, depending on their age and size, 15 to 25 minutes before a routine potty time you should place them in the crate to make sure there’s no accident in your home. Once their scheduled time comes around they will be ready to go. Take them to their bathroom spot and if they relieve themselves, praise and reward them, then grant them freedom outside of the crate until just before their next scheduled time. If they don’t eliminate, again depending on their size, put them back into the crate for 5 to 15 minutes and try again. Repeat this until they do empty themselves in the correct spot before allowing them time outside of the crate. Take your eye off a puppy that isn’t yet house trained for even just a few seconds and you have to expect some accidents! When they don’t yet know any better and their bladder or bowel needs emptying, they will do it right where they stand, or worse sneak off to a quiet corner and empty themselves there. So, if for any reason you cannot give your puppy your undivided attention, you should very briefly pop them in the crate and they will keep themselves clean. When on the phone, or answering the door, taking a shower or putting the children to bed, pop your puppy in the crate and you can guarantee you won’t find a little present waiting for your return. NEVER use a crate that’s too large. A puppy will sleep one end and toilet in the other and before you know it, will lose their instinct to keep their den clean. Then you’ll be facing a true battle to try to convince them that your home is their den that must be kept clean. NEVER crate a puppy for longer than they can hold their bladder. If you do then your puppy will have no choice but to potty in the crate. If this happens enough times (and not very many) it can seriously hurt your house training plans and set it back weeks! NEVER crate a puppy or dog that has a history of eliminating in their crate. Some dogs or puppies, particularly those rescued and adopted can come with bad habits picked up in their former life. You need to spend time first teaching them to respect and not eliminate in the home before using the crate. More on this in a future article. NEVER crate a dog with a medical problem or sickness and diarrhea. For reasons already discussed, you cannot allow your puppy to eliminate in the crate else they will lose their instinct to keep their crate clean. And crating them when they have sickness and diarrhea is utterly unfair as dogs want to be clean and you’ll be forcing them to rest in their own mess. I say using a crate…if not essential…is at least a very, very wise decision for everybody to make. Not just for house training, but for all the other benefits that come with it too. But if you have to leave your puppy alone for a few hours, they cannot possibly be expected to hold their bladder that long at such a young age. And if you work full-time, you could be gone for 9 or 10 hours. Of course you will have a visitor come to give company and exercise to break up the day, but even 4 hours is too long for a young puppy in a crate. So you do have to use alternative methods occasionally. Personally, I always use a crate. But I also simply must use paper training to some degree (although I actually use puppy pads and not paper) because I work full-time and my work-from-home girlfriend is sometimes away from home too. At these times, we confine our puppy to a sealed off kitchen with a crate and water at one end of the room, and ‘puppy pads’ at the other. We use a mixture of constant supervision and crating when we’re home and as much as we possibly can, but confine our puppy to the kitchen with puppy pads if nobody’s home for a length of time. I found this the most effective method for us. So is using a crate for house training suitable for you? I say it’s suitable and recommended for everyone, with a back up plan for when you cannot be home. But of course some dogs, especially some dogs adopted from rescues, may have a true phobia of crates, usually due to past experiences of abuse that involved being locked up excessively. And of course for these rare instances, crating would be wrong so you should concentrate on another method. You can indeed.  Other methods exist, though they are less effective and demand more effort. But using a crate for house training isn’t suitable for every owner, or indeed every dog. I recommend people to stay away from paper training unless you work full-time or are planning to have your dog toilet inside for life (some people must if they have mobility problems or live on the 19th floor of a tower block!) This is because training a dog to eliminate outside exclusively is much harder if they’ve been allowed to toilet inside for a while first. But house training without a crate is successfully achieved by countless people when following the right techniques. It just takes more time and effort if not using one. No method of house training is easy or effortless and don’t let anybody tell you otherwise! Although I say house training with a crate is the most effective method requiring the least effort, you can’t just buy a crate, throw your puppy in there and magically they never soil your home. It still takes time, patience, dedication and effort. 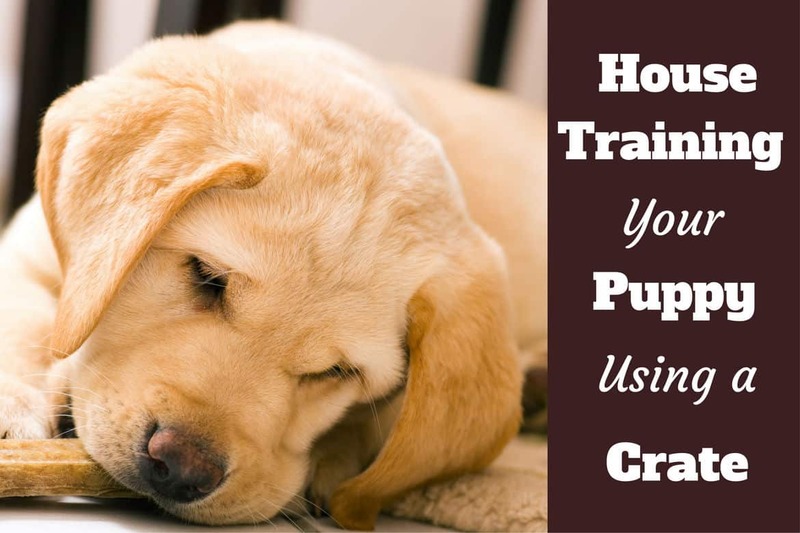 But compared to all other methods, crating is the quickest due to taking advantage of a puppy’s natural instincts to promote faster learning. And a crate used correctly takes away the highest number of mistakes and ‘accidents’…which means less cleaning for you, which equals less effort! I strongly recommend crate training to everyone. Not just for house training, but for all the safety, security and benefits they bring to both owner and dog to enjoy throughout their lives. For a complete guide to house training your puppy that takes advantage of using a crate, please click here. 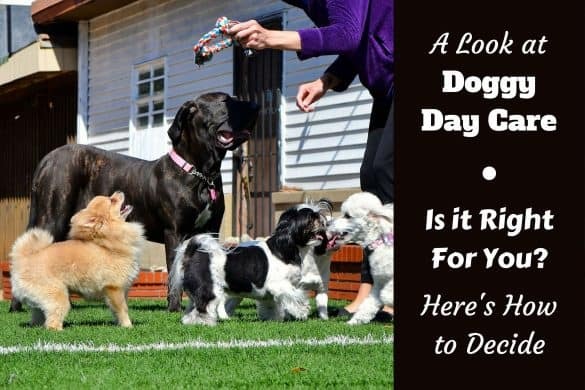 This was part 7 in a 12-part series where I’ve provided all the guidance you could possibly ever need and covered everything I can think of for you to be able to successfully house train your puppy or adult dog. I have a question about keeping the crate open when home; is it okay not to have the divider up for a lab puppy when you are home and working on crate training, or should it be kept up during the puppy stages and expanded as she grows? We will have a smaller space when we are gone at work (will be coming home at lunchtime to let her out) and also at night time, but was wondering if we are home if it is okay to have the full crate space available with no divider. I appreciate any feedback–thank you! You also want to make sure she doesn’t toilet in there. If your pup goes in the crate and you leave them there for a few moments if ‘something pops up’ (phone rings, visitor at the door) if the divider is out she may toilet in there. It only takes seconds. But they wouldn’t if the crate is the right size. I would leave it in until your pup has grown large enough for it be removed. We have a 12 week old Bernses puppy and it’s been a nightmare trying to crate train her…some night she is really good and her crate is clean and other nights it’s a mess…she is feed twice a day morning 5-6am and then again in the afternoon 3-4pm. When is outside she is a rockstar she will get off the porch and go to the grass to pee and poop she has her last bathroom break around 10 pm and I have been getting up at 2:30-3am to put her out again and the last few nights she has peed and pooped in her crate I am at a loss I don’t know what I’m doing wrong please any help would be welcomed. We have a 16 week old Bernese. We got him from a puppy store a week ago. I get the concept that he thinks his crate is a bathroom. But we are going insane trying to get him to not poop in it. He has about a 5 minute tolerance and then its poop EVERYWHERE. We haven’t tried to put him in for 2 days, so we can sleep a little, and have let him sleep on the floor in our room .We take him out a lot and he has been eliminating outside. How do we go about this. The crate has always been a good thing in our home. WE have to rescues now and they were rock stars when it came to crate training. I was even thinking a crate of a different material would help. What is your advice. Thanks. I have a question about the earliest days of crate training. 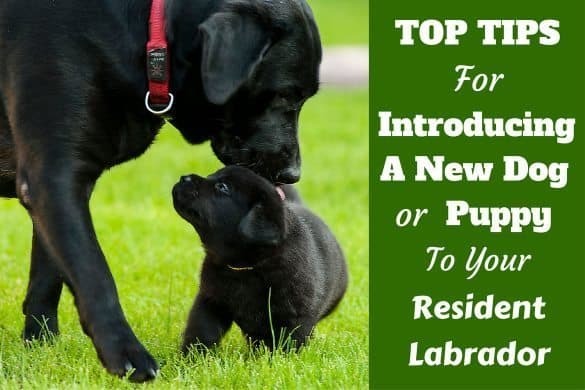 In another section of this guide, you mention that you should not force the puppy into the crate, but rather you should allow them to choose the crate over a period of time (maybe even days or weeks). What should I do in the meantime? I will bring our puppy home in a few weeks. He is still with the breeder now, and I’d like to begin immediately. All of what you write in this guide sounds great, but I do wonder about how to use the crate initially…if the puppy has not yet chosen to go in himself. Likewise, how should I handle sleeping if he has not yet chosen the make the crate his den? Thanks.